I would like to send warmest greetings and love to all the team. 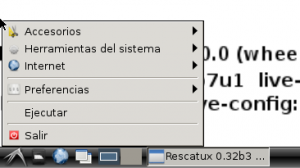 Thank you for your nice articles about Rescatux in getgnu.org. It’s nice when you know someone has not simply made a copy and paste but truly written their own text. Unfortunately I am the only member in Rescatux development team, or the only active one. Hopefully with 0.32 stable release Rescatux will take momentum and more people will be interested in joining efforts. Final stable release will have a torrent like the current one. I do not provide torrents for beta releases. It’s too time consuming. I have a netbook with linux grub huayra / windos8 UEFI bios and GPT partitions. Rescatux achievement not operate and it (not boot from pen drive). a way to solve this ..
tengo unas netbook con grub linux huayra / windos8 bios UEFI, y particiones GPT. no logro hacer funcionar rescatux e ella (no bootea desde pen drive). alguna manera de solucionar esto.. Please join the mailing list and we will try to help you there.